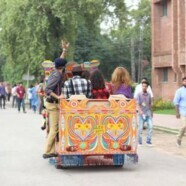 Forman Dramatics Club started off with the rickshaw campus tour on first day of Forman Experience. Freshmen were excited and curious about FCCU’s heritage and legacy. 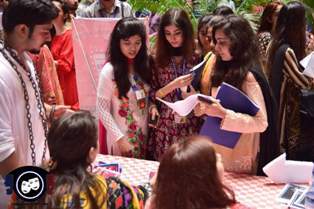 Next, a series of plays were presented among which the first play was “Kya Main Mujrim Tha”. This play was tragic, a story about young girl being abducted. It was about how corrupt our society and police system is. The second play, ‘Kaana Kanoon’ was all about humour and had a funny element to it. 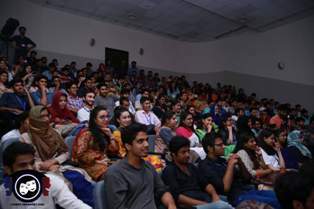 ‘Looto Pakistan’ a parody was organised by FDC in which the audience exploded with laughter and hilarious comments. The event was a total success and freshmen students couldn’t resist appreciating the concept and the creativity the characters and actors performed. 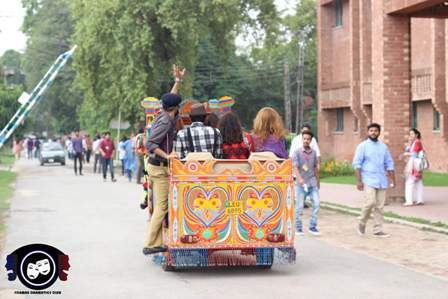 Last but not the least, ‘Chocolate’ play turned out to the biggest success as it revolved around the life of students and different types of students that go to university to take admission. All their struggle and the confusion is portrayed with humour and satire and nobody does it better than Formanites.